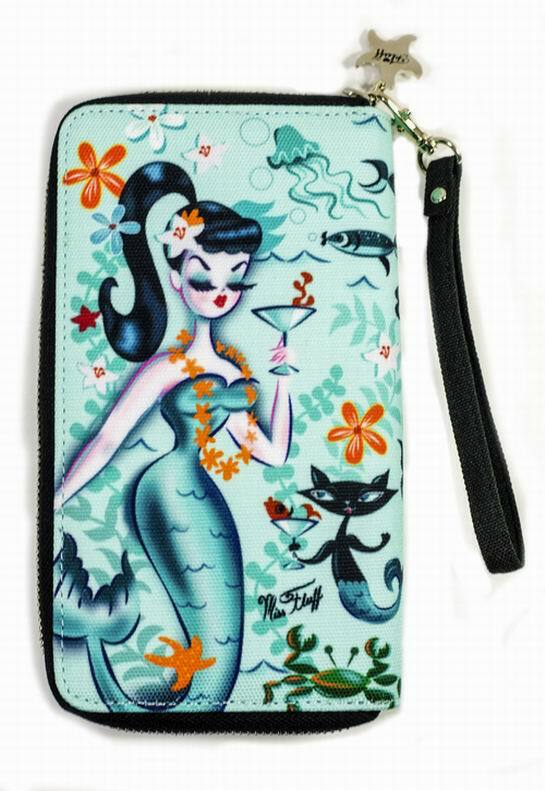 Martini Mermaids wristlet for your smart phone and more! Mermaids and Martinis! What more can one ask for? How about Mermaid Kitties! Well this wristlet has that too! Perfect to carry your phone, cash , credit cards and change! Inside there is a zippered pocket and many slots for cards. It has a removable strap so you can turn it into a clutch. 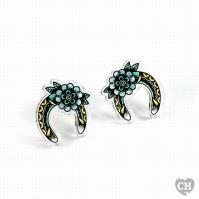 The interior lining is a whimsical tropical floral custom Fluff print. And to top things off, the wristlet is complete with adorable silver Fluff starfish charms that sparkle with aqua blue crystals!